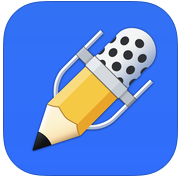 This week’s pick is Notability by Ginger Labs. 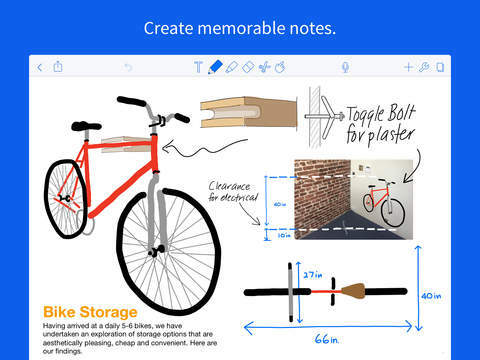 Notability is a Productivity application that makes note-taking and PDF annotation simple and enjoyable. Recently selected as an Apple Editors’ Choice on the iPad, iPhone, and Mac, Notability also was recently recognized as the best selling paid productivity app of 2015–their 3rd year in a row! Now, for a limited time, it is on sale at 83% off, for only $0.99! 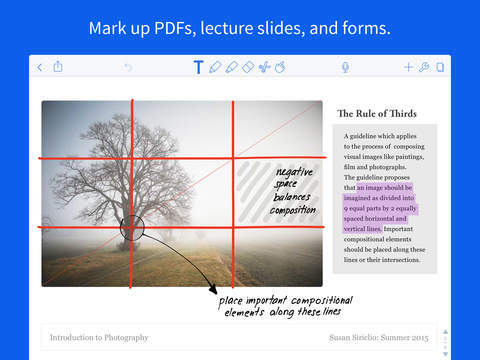 You will not find a better productivity app for note taking, lecture and meeting recording, PDF annotating, sketching or drawing–especially a single app that includes all these capabilities and more. – Select PDF text and highlight it with your choice of 16 colors. – Copy and Paste PDF text. – Use the Speak feature to have the PDF text read aloud. – Look up definitions in PDFs. – Search is faster and more accurate. – Active links are supported in PDFs, both internal (e.g. Table of Contents) and external (URLs). Here’s an App Store link for Notability . We highly recommend you taking advantage of this sale and give Notability a look. You will be amazed with all you can accomplish in this one app. 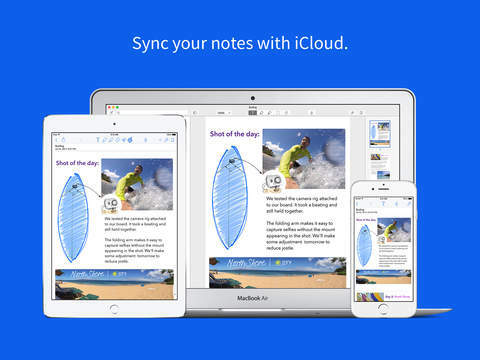 Compatible with iOS 7.0 or later, Notability is designed for both your iPad and iPhone. Be sure to download it today for $0.99 as part of the App Store’s Handpicked Apps & Games promotion. In addition, there are two themes that are available as in-app purchases.